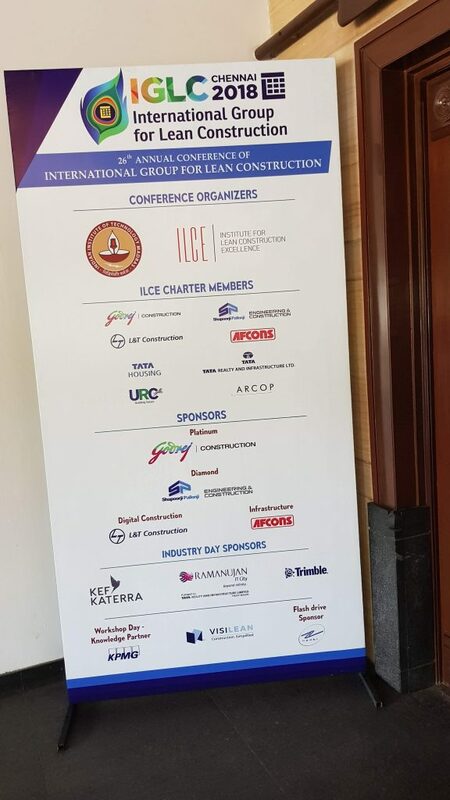 Elisa Marengo presented a research paper in the Annual Conference of the International Group for Lean Construction, 2018. The title of the paper is “Promoting Collaborative Construction Process Management by Means of a Normalized Workload Approach“. The research project »COCkPiT« – Collaborative Construction Process Management – aims at developing methodologies and tools to enhance time and budget control in construction projects, with a focus on small and medium-sized companies. The hypothesis is that the interplay of the three main phases of project management – planning, scheduling, and monitoring – can be improved by collecting highly detailed information early on in each phase, and making it available to the other phases at a high frequency. COCkPiT builds upon previous experiences in façade installation, where significant time and cost savings have been obtained by applying a normalized workload approach based on a collaborative process planning routine, an approach which is currently hardly supported by commercial project management tools. Thus, the objective of COCkPiT is to develop a methodology that supports i) collaborative process modelling as a basis for ii) a short-term rolling wave planning considering iii) real-time measurement of the progress on-site, to create highly reliable schedules and accurate forecasts. 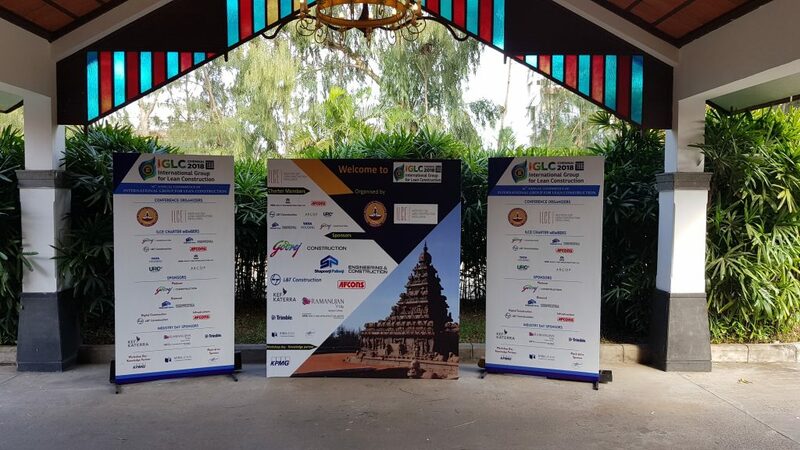 The focus of this paper is to present the conceptual fundamentals of integrating the modules of modelling, scheduling and monitoring, as well as involving the lean construction community to current considerations regarding the implementation in a self-containing IT-solution. 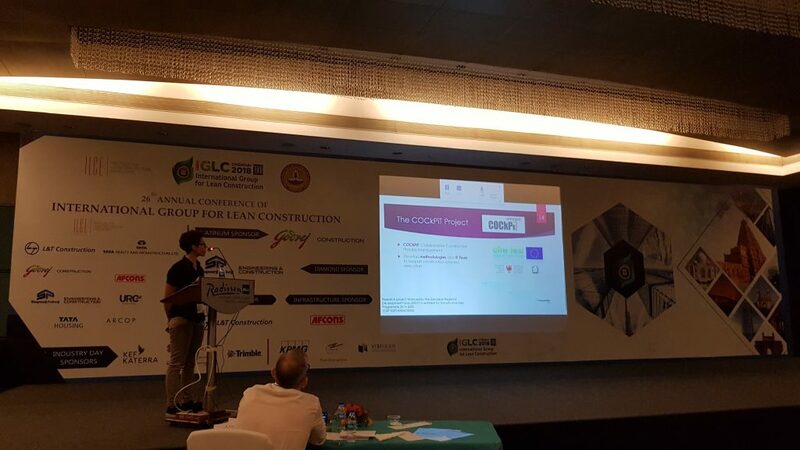 Elisa Marengo presenting research paper in the IGLC 2018.